Support #DiscoverHerJourney. Back Taylor Jay in her journey to expand to Plus as well as develop new collections for all women. If you don't know, the Taylor Jay Collection is an amazing line with pieces that not only look great together but can be paired with other pieces to create looks that empower anyone's style. They are comfortable, chic and perfect for a woman on the go. Behind the line is Taylor. She is a mom, relentless entrepreneur and someone that I am honored to call my friend. She is passionate about what she does and created the #DiscoverHerJourney campaign to expand her scope of sizes to cater to plus as well as special collections that cater to all women in special ways. I have always been amazed that her pieces are long enough for me. I have been rocking her collections for years and always look forward to her new, thoughtful styles. She really makes things that not only make sense but also make you feel stylish and carefree when you wear them. Support a brand that supports you. #DiscoverHerJourney. 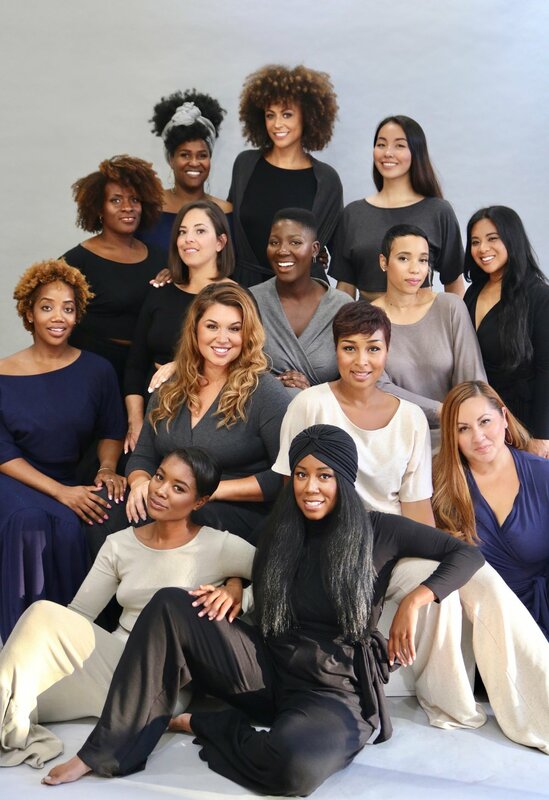 As a Tall, African American woman who is very underserved in the media and fashion industries, I am so thankful for designers like Taylor who cater to all women and are making strides to include everyone. It is incredibly important that we support each other and brands that believe in US, so please support #DiscoverHerJourney in any way that you can. From sharing the campaign, to donation, there is no such thing as a small contribution. Every supportive move is a move towards an industry that represents all of us! WANNA SEE THIS MAXI MOVE? Check out my Instagram for a short video of this beautiful dress. I seriously canNOT believe that summer is almost over. I'm sad but going to enjoy this last month in chic dresses like this crazy-good maxi dress from Tall Girls UK. Not only is it long enough (I am wearing 3.5" heels and it's STILL the perfect length), it is also the perfect floral print and a piece that you can transition right into fall. 1) SPORT IT UP. Add a sweatshirt and some tennies for a sporty look. I plan to throw on a light grey simple cotton shirt and some metallic Converse like THIS OPTION from Tall Girls UK. A comfy, fab, fall remix for all of your maxi dresses. 2) WILD WEST IT. Throw on a long cardigan, belt and boots of your choice. This Long Line Cardigan is the perfect tall option for this western inspired look. 3) BLAZE A TRIAL. You can easily wear your maxi dress to the office by adding a chunky necklace, blazer and loafer. Check out these tall blazer options that will transform this summer dress in to a chic office fit. So slow your roll on putting those maxi dresses in the back of the closet and keep them out to incorporate in your fall repertoire! 1. You don't have to buy something new to rock a new and exciting outfit. These are all pieces I have owned for some time remixed in to a fabulous fit. I can't tell you how many compliments I received. If you want a new look, it's often right there in your closet. 2. Try everything on! I saw these pants at the Collage Clothing Lounge in Oakland and thought what we all think while shopping in stores...there is no way those are gonna be long enough. I tried them on anyway and I am so thankful that I did because there are some of my favorite pants! You just never truly know until you try. 3. Ignore the RULES. If you let some people tell it, mixing patterns is wrong and furthermore tall women shouldn't wear loud colors or patterns because it draws more attention to them. Pish to the posh! SO FAR from the truth. Wear what makes you feel best, Give them something to stare at hunni! Don't let anyone limit your style and how you express it. From neon to patterns, don't let anyone hold your style back because often times they are afraid to express theirs themselves. Society, get away from with all that! Live out your purpose, live in your purpose and freely show the world who you are!